And it's doing so with help from Google. "If we can't discriminate between serious arguments and propaganda, then we have problems." That's President Obama speaking to the threat of outright fake and inaccurate news. In an effort to combat this, and ensure that people are well-informed, UK charity Full Fact is trying to make fact checking fully automated. So far it's working on UK-focused stuff like what members of Parliament say during addresses, and claims made by trade groups in addition to print, online and broadcast media organizations, according to TechCrunch. But in the future, it plans to cross the Atlantic. Full Fact staffers will keep checking a claim even after their initial report publishes, too, will address corrections and retractions from sources as well. The human touch is key, because sometimes analyzing what's available requires context and judgment, according to project director Will Moy. "Some types of claims can be handled as easily as spellcheck, including claims that were fact checked by human beings before," he told TechCrunch. "But some claims will always require human judgment, for example, about what's a fair and balanced way of expressing things, or what methods of analysis should be applied to answer a question about crime." 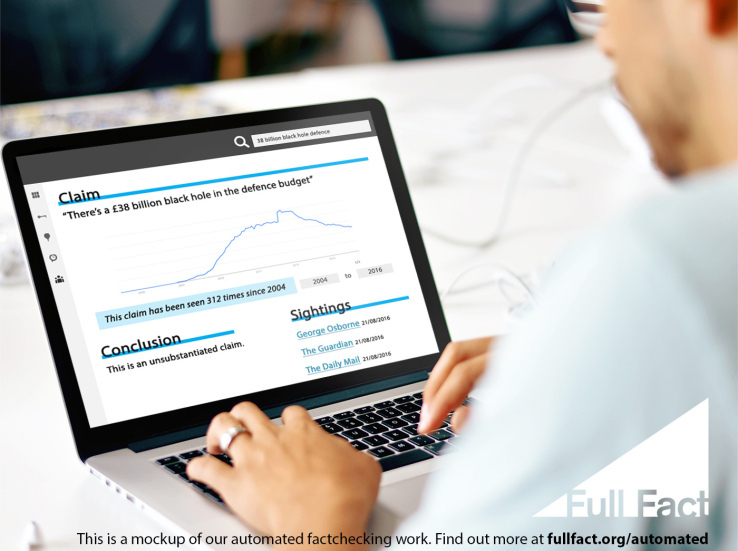 The primary aim is giving journalists the tools needed to see if a statement made on out of date statistics, or patently wrong, but Full Fact wants its tools to help inform the people who read news in addition to writing it as well. The current plan is for mobile and web apps, and to help get there, Google's Digital News Initiative (GDNI) has contributed some EURO 50,000 ($53,113) to help make that happen. Full Fact says that to guard against conflicts of interest, it's limiting a single entity from donating more than 15 percent of its total funding. 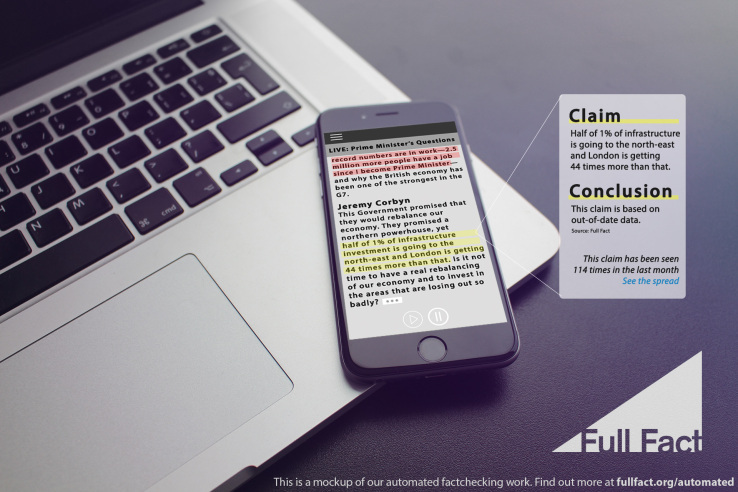 "FACTS will be the first fully automated factchecking tool: our original technology will recognise claims in political debates and online media and immediately alert journalists if they are inaccurate. FACTS will give journalists the killer question the moment they need it. It will save time, when journalists have never had less. It will help stop misinformation spreading through the news. It will help journalism maintain the credibility that audiences demand. Our tool has two modes. One identifies claims we have factchecked before and provides a verdict. The most innovative mode factchecks claims automatically using statistical analysis—something never done before."